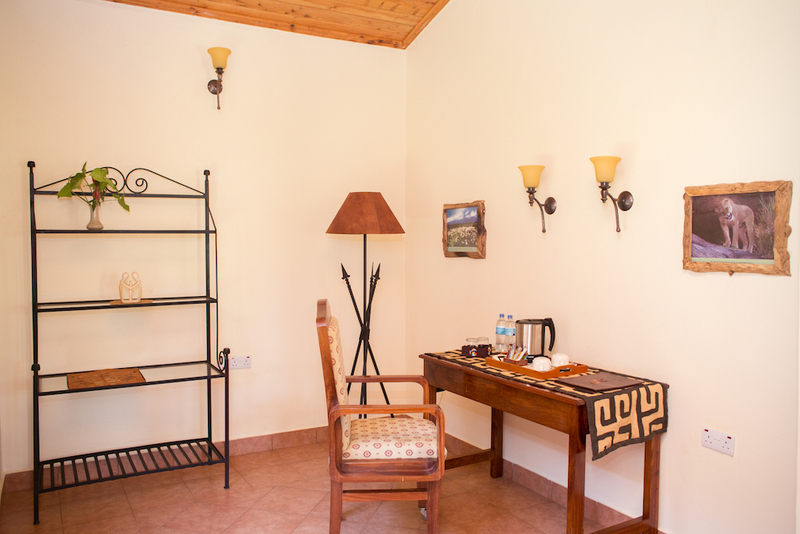 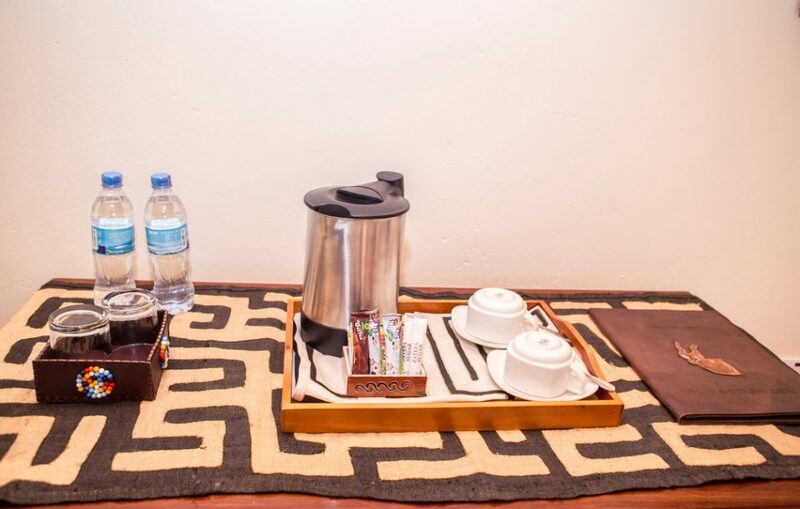 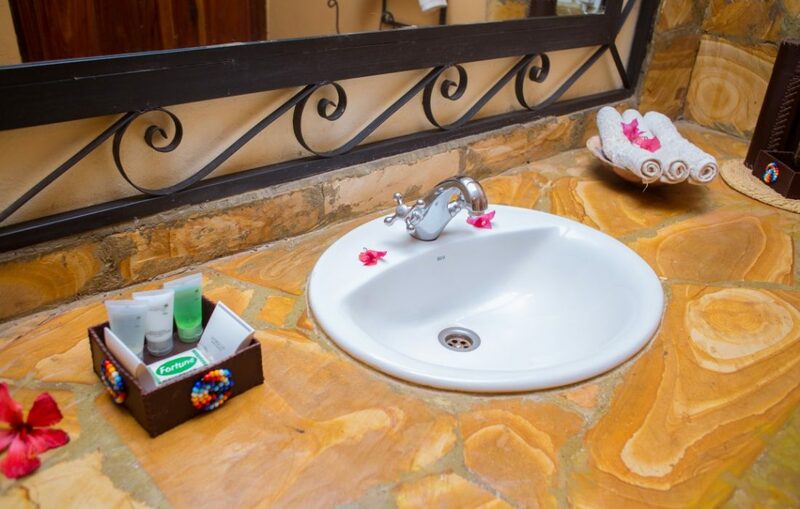 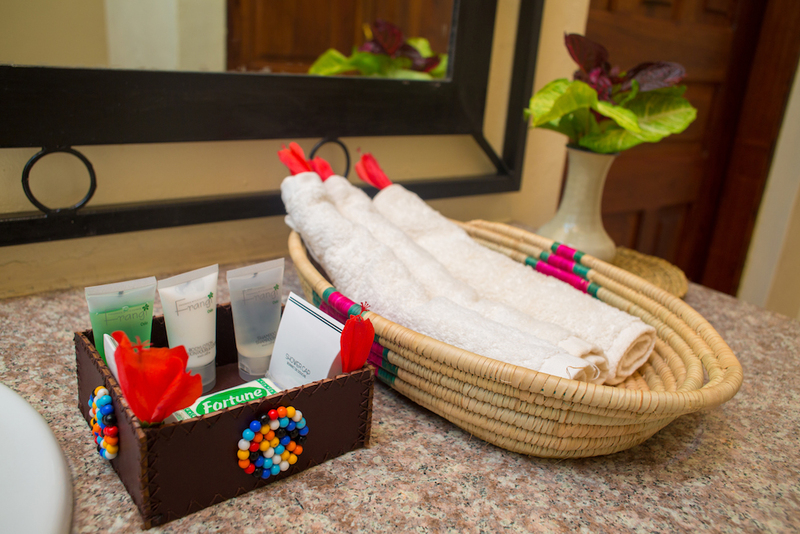 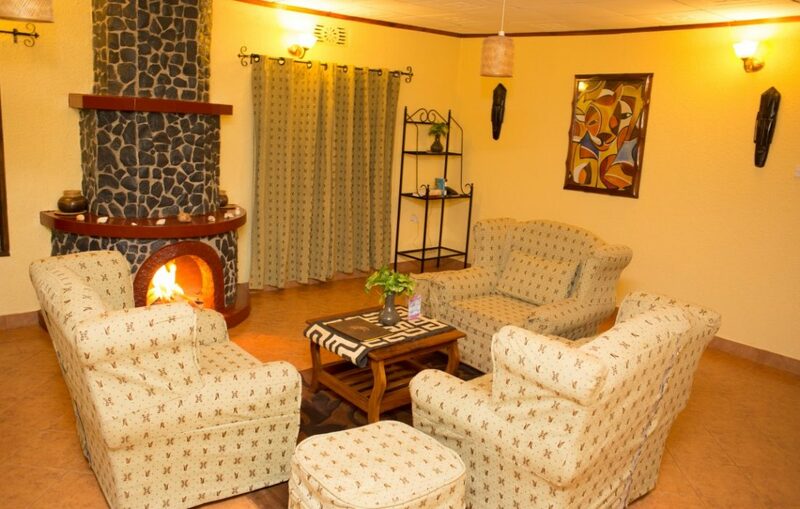 All bungalows have en-suite bathroom with shower, vanity and toilet, desk/writing area, Free WIFI, in house telephones, Electricity 24hours,Tea/Coffee making facilities, Safe Boxes and Seating area, private veranda with views to the extensive and lovely tropical gardens. 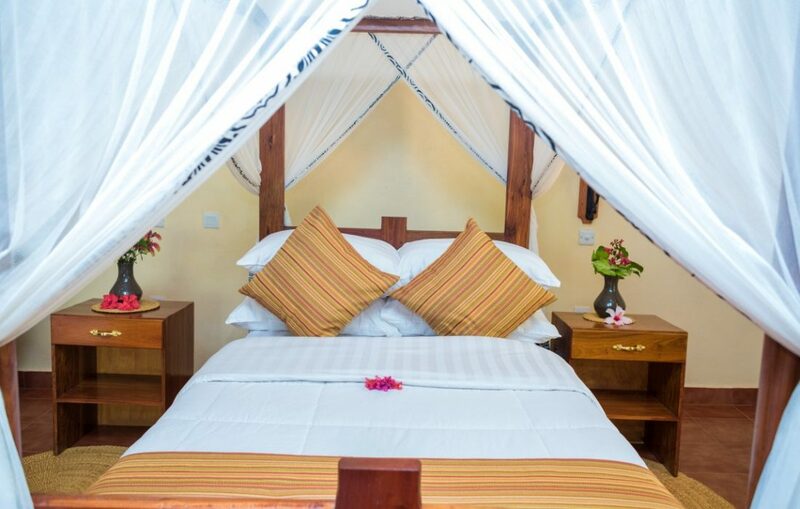 All beds are outfitted with mosquito nets. 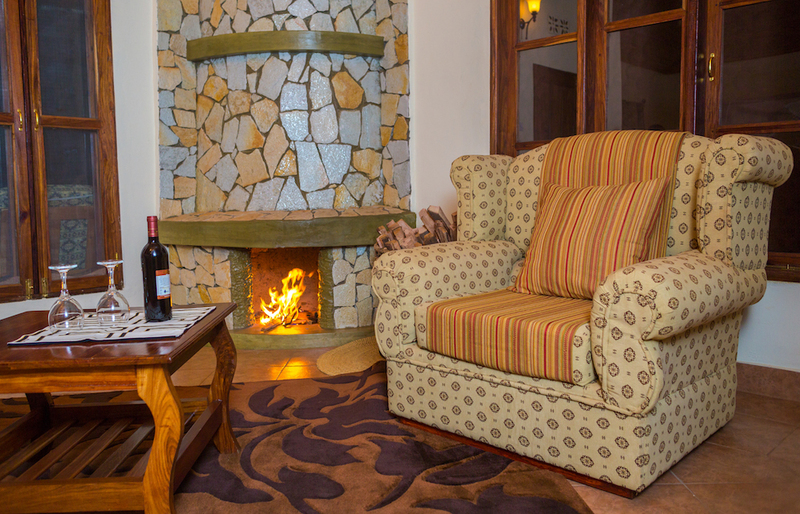 Suites feature king size beds and a lounge with fireplace.